Masamichi Higurashi, and Hirotaka Ueda. Japan and Sherlock Holmes translates into English the best non-fiction writings of Japan for an audience previously unable to enjoy this treasure trove of Sherlockian scholarship. This anthology spans a period from 1911 to the present, and was edited by three members of the BSI as the first volume in the International Series. 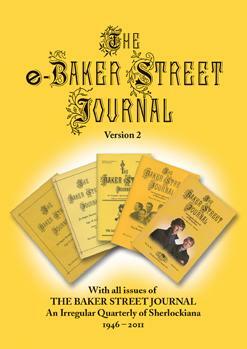 It contains many Sherlockian analytical pieces, such as Stapleton’s true identity, a comparison between The Count of Monte Cristo and A Study in Scarlet, and an article which definitively answers all questions pertaining to “The Politician, the Lighthouse, and the Trained Cormorant.” There is a charming homage to Japan’s Sherlockian father, Dr. Kohki Naganuma, and a very early account of a Japanese journalist’s 1910 meeting with Sir Arthur Conan Doyle in London. 193 pages, hardcover, December 2004. Please check with The Mysterious Bookshop at info@mysteriousbookshop.com or call (212) 587-1011 to see if they still have any copies that are not listed in their online catalog. 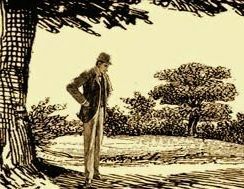 Could Holmes Have Had Lunch in a Dining Car?